Q & A with DUFC Board update. Following requests received from members we tried on four separate occasions to arrange an open Q&A with Chairman Stephen Thompson. Latterly he delegated communication to Associate Director Colin Stewart. The Club were steadfast in their view that fan engagement did not allow an open Q&A with Fed members and reluctantly we had to accept the Club would not budge from their stance and a meeting was arranged for 19 January 2017 with the Fed Committee. A condition of this meeting was that written questions were to be submitted by 15 December 2016. In acknowledging receipt of the questions Colin Stewart informed us that DUFC would be preparing a written summary of the meeting which would be jointly agreed and allow us to circulate this to members after the meeting. We asked for clarification that we could ask subsequent questions subject to the answers provided, we also asked if we could ask any question which could not be foreseen on 15 December primarily in relation to activities taking place during the transfer window and finally that the written summary the Club were providing would not be available on the night as this would imply that we are turning up to only be read answers to our previously provided questions which is not what we want but rather an open and constructive dialogue. The response we received stated that there was a significant expectation gap between what information on operational and strategic matters they thought the Federation was entitled to, against such information that the Club as a private company was prepared or required to divulge. 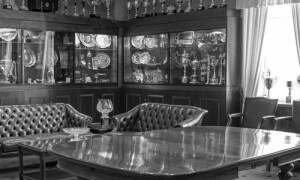 The Club then cancelled the meeting due to be held on 19 January stating that the Club would continue to provide supporters organisations with informative news on a regular basis. Colin ended by saying himself and Jim Spence would be more than happy to meet with now only the Chairman and Secretary of the Fed. 1. Can you confirm what plans are in place in the event of the club still being in the Championship next season? If this regrettably is the case which we hope it is not, can you confirm that the Club will stay full time and as the investment in the playing squad was obviously less than required based on the outcome resulting that additional funds will be made available to the manager and not further cuts applied as was implied by the Associate Director recently. 2. Since Spence Anderson left it appears that a number of non playing members of staff (General Manager, Communications Consultant etc) have been recruited using funds that could have been directed towards the playing staff? Can you confirm what the roles and responsibilities of the paid senior staff are including yourself as some fans think there is duplication and indeed believe increases in this tier of management have been made whilst the playing budget has been reduced? 3. The relationship with the fans has been better and some actions by the Club could be interpreted as non professional examples of this are last season promising season ticket purchasers a Q&A session and then failing to deliver or indeed acknowledge this commitment made in print. The poor level of attendance by directors at the recent Sponsors Dinner is also viewed as non professional by some fans. What actions do you as Chairman propose taking to rebuild what some believe is an irreparable relationship with the fans. 4. As the director responsible for football matters can you confirm that you attend at least all home development fixtures? How often do you visit the training base in St Andrews and are these visits always pre arranged? 5. If and we hope it’s a definite certainty we gain promotion what positive steps have the Club planned to ensure we regain our place in the top six of Scottish football asap? 6. How many season ticket holders were lost through relegation? 7. Some fans believe that the slide towards relegation and the loss of trust in the directors of the Club commenced when Armstrong and Mackay Stevens were sold to Celtic. It is also believed you gave a personal commitment in relation to no sales prior to departing to Australia after the semi final victory over Aberdeen, indeed some fans claim to have a copy or have seen a text confirming this commitment. Can you confirm that the timing of these sales was made against a backdrop of believing that direct replacements were available within the Club and thus no like for like players were recruited and if so which players did you and the then manager believe could replace these two players. 8. Will funds be made available to the Manager to get the two signings he wants in January and that as Chairman you will ensure his wish to have no players leaving in January is also fulfilled. Some fans claim that the Club is hoping to sell Scott Fraser in January can you confirm this is not the case? Since that quote we have heard nothing, can you update us on any progress made and the financial implications if no fresh investment is based on the two scenarios of SPL football next season and conversely if it is Championship football again next season. Can you also confirm that if fresh investment is not received in the 2016/17 season that this will not be detrimental to the club as again some fans have heard that we could run out of money before the end of the season as we are currently operating significantly out with our projected income. 10. What are the financial and non financial implications for Dundee United of the proposed revamp of youth football which Stewart Regan is currently considering? 11. Has a date for the AGM to consider the accounts to 30 June 2016 been agreed and can you make any comment about the financial health of the Club based on these figures? 12. When we consider the football and financial “disaster” which was last season did any of the Board or senior staff consider resigning or is the blame 100% due to the two managers / coaches with nothing attributed to either their selection or the management of the these positions? The above is, we believe, a factual summary of events and is intended to provide information for members only, further updates will follow as and when further relevant information is received. We would wish to end this members update by once again congratulating Ray McKinnon, the players and coaching staff for their achievements so far this season. Whilst our members concerns in relation to non playing matters continue we would like to applaud all fans who have attended home and away, in such fantastic numbers, supporting the team and encourage them to continue to back the team at all times.